Imagine it. Imagine dialing up a rolodex of design apps on a touchscreen on your countertop 3D printer, scrolling until you found “Coffee Maker”, pressing “Go” on your printer and voila! A matter of minutes later you have one and the beans are percolating. Sounds a little ridiculous right? Well we did a quick search on Thingiverse for “3D Coffee Maker” and, while a design for a complete maker doesn’t seem to exist yet, you can download the plans for a scoop right now! In other words, it really is only a matter of time before we’ll literally be able to print working versions of common household appliances and items from the kitchen counter. The “hot end” of the Printrbot Jr. 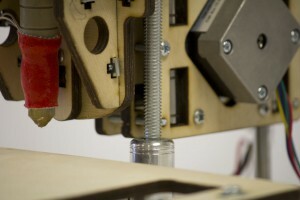 So desktop 3D printers are a reality, although they’re a few thousand bucks right now. 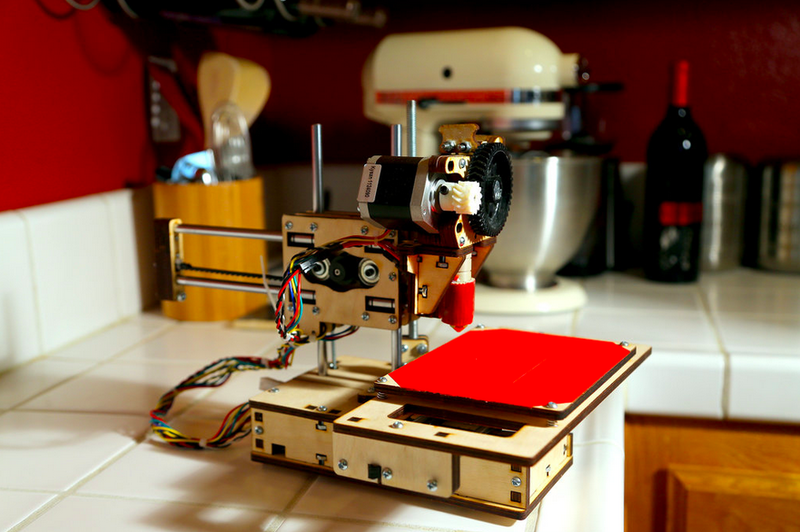 Printrbot will sell you a kit to make your own for $400 and a swiftly growing population of enthusiasts are designing and uploading free plans for printing real things to a free website.